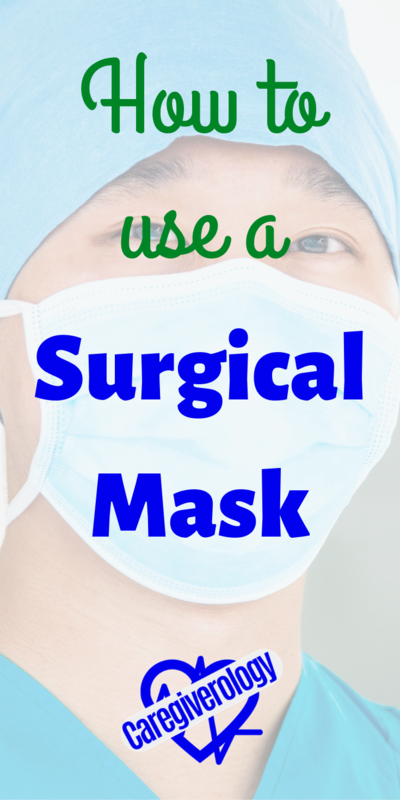 Despite its name, a surgical mask is worn in a lot more situations other than while giving surgery. 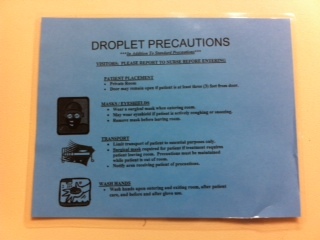 If your patient is on isolation precautions, depending on the type they are on, you may be required to wear one when you partake in their care. 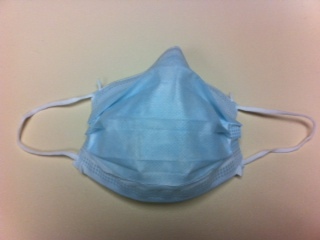 It is also a good idea to wear one yourself if you are ill to help prevent the spread of infection. There are many other kinds of masks worn for different situations. Respirators are worn for infectious diseases that float easily through the air. Face shields cover the eyes as well as the nose and mouth. Oxygen masks are usually for the patient because they provide breathing assistance. There are even pocket masks which provide protection while giving CPR. You should make sure you and/or your patient wear the right one. All of them are important for each situation. Most surgical masks are worn around the ears. There are two elastic loops on each side. You place one behind each ear so your mouth and nose are covered. Some masks require you to stretch them out longways so they go under your chin all the way up to the top of your nose. This is the tricky part, the end that goes around your nose should have a bendable wire going through it. You have to bend that wire around your nose so nothing can get in between your nose and the mask. You're basically molding the mask to fit your face. Just like medical gloves and an isolation gown, you should only use a mask once. If you aren't wearing gloves when you take it off, you should take it off at the ears so you don't touch the mask itself with your bare hands. 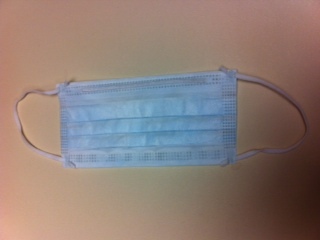 Even if the patient isn't on any kind of isolation, if they are coughing or sneezing it's a good idea to wear one. But it works both ways. If you are coughing or sneezing, you should think of the patient and wear one yourself. The most common reason why I have to wear one while working at a hospital is because the patient is suffering from neutropenia. This makes them extra susceptible to infection. You should encourage everybody who comes into contact with a neutropenic patient to wear one. Make sure you educate not only yourself, but others about surgical masks. They can be useful not only in hospitals, but everywhere else as well. Doing so can help stop the spread of infection.